If you are planning on bulking up your body and developing your muscles then you will need to implement compound exercise into your workout routine. Compound exercise pushes the body to its limits and intensity in return for huge gains in terms of muscle mass. When it comes to increasing muscle mass and strength, a compound exercise is always the best way to go. But how exactly do compound exercises work? Basically, a compound exercise requires multiple muscles of the body to work at the same time. Going through an intense routine that will push your body to the limit regularly. However, there are specific compound exercises that focus on specific muscles if need be. These are called multi-joint exercises with the most popular ones being the bench press and squat. If you want to focus on a specific part of your body, multi-joint exercises should be included in your workout routine. Let us take a closer look at compound exercises, what they bring to the table, and the kinds of a compound exercise that you can do. Compound exercises can be inserted into any strength training program but are recommended that it is placed at the beginning of the routine. The reason for this is that the intense training regimen of compound exercises requires immense energy and stamina and the subsequent build-up of lactic acids. The results of incorporating compound exercises to build muscle mass and strength are proven and undisputed. In terms of developing muscle mass, compound exercise’s results are undeniable. Another great benefit of doing compound exercise is its ability to burn off huge amounts of body fat at a time. Obviously, fat cannot be converted into muscles but the amount of energy required in a compound exercise is so enormous that body fat is quickly converted into energy. Add that to the muscle building effect and its two-pronged attack on a healthy and strong body. For those looking to gain muscles in a short period of time, a compound exercise is also a great choice. Olympic power-lifting programs implement one compound exercise in every workout regimen. The program utilizes one compound exercise in 5 heavy and slow reps for each set with plenty of rest time between reps for maximum recovery. Synchronizing the muscles during the various forms of compound exercise helps improve the overall strength of the muscle. 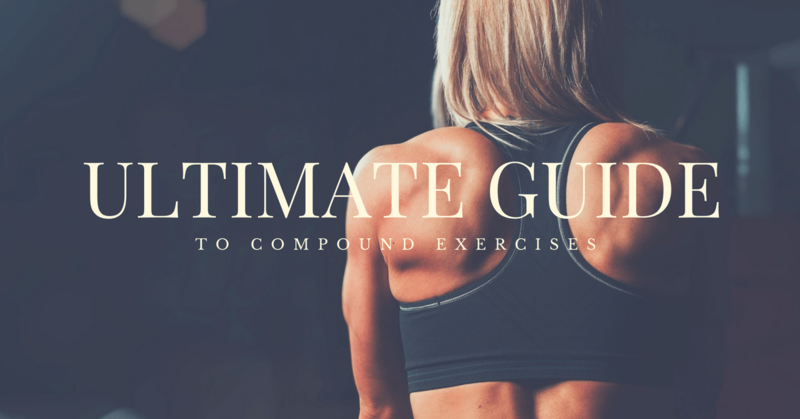 A compound exercise is not only designed to buff out the body, it is also designed to help the muscles work in perfect unison which then results in producing optimum strength. Another benefit of using compound exercise centers on the cardiovascular system. Due to the intensity of compound exercises, our heart rate will elevate which practically strengthens it to deliver a higher rate of performance after a while. A compound exercise is not a walk in the park. It tests the limits of not only your mind but also your body. However, if you pushed through you will reap the rewards within a short amount of time. As the old saying goes, “No pain, no gain.” And compound exercises are the perfect example of this. One of the simplest yet most effective forms of compound exercise is the squats. It is also one of the most recommended forms of exercise to include into your workout routine. The fact that it promotes total body movement with a focus on your quads help build up strength and develop leaner muscles mass. If you want to gain the optimum benefits of squats you should always perform it properly. Your legs and knees should break the parallel angle. For an added challenge, you can also use bars with weights to fully push you to the limit. The deadlift is quite similar to squats in terms of benefits. It builds up muscles as well as improve your body’s overall strength. The deadlift focuses generally on your lower back and hamstrings but is considered a full body workout. Deadlift is also the easiest to make mistakes for beginners. A general rule of thumb I can give you when it comes to proper deadlift form is to make sure that your shins touch the bar before going into the starting position. You should also make sure that your back does not round out and maintain a straight line from your neck to your hips throughout the motions. One of the most basic exercises in terms of using weights, the flat barbell bench press is most likely one of the first exercise people tried in the gym. There is a reason why this compound exercise managed to maintain relevance through the years and it all centers around its effectiveness. In fact, this exercise is usually applied as the starter exercise of the week in most strength programs. Stability is the key to this exercise. Here are some tips to ensure maximum results: make sure that your lower back is slightly arch, grab the bars with arms at shoulder-width apart, slightly pull back or tighten your shoulder blades, and keep feet firmly flat on the flood. A highly recommended exercise for developing your deltoids, the behind the neck shoulder press works best when combined with side lateral raise exercises. However, I must caution you to never start off with this exercise as that would be a good way to strain and injure your rotator cuffs. Do some warm-ups first before doing this compound exercise. The T-Bar Row exercise is designed to sculpt your back muscles. Similar to the bent over row exercise. The T-Bar row allows you to put more emphasis on your back due to its narrow grip form and its high angle bends. Maintain proper form when doing this compound exercise to help develop muscle mass on your back. Make sure your head is up and your body parallels to the floor. If you wish for the added challenge of weights, I suggest you opt for 25 lbs. weights. This allows you a better range of motion. However, heavy lifters might not find this sufficient. In these instances, you can choose to go for the 45 lbs. weights instead. Another exercise that focuses on building deltoid muscles is the bent over barbell rows. In fact, bodybuilders have stated that any kind of back exercise needs this compound exercise to be considered complete. You will be at a 45-degree angle during this exercise so pick a weight that is not too strenuous for you. There is also another technique you can implement which is the underhand grip at a 30-degree angle which will have you bringing the bar under your sternum. This technique is called the Yates Rows and was invented by Dorian Yates, a 6-time Olympia winner. I think you can guess who invented this compound exercise based on what its called alone. Invented by the Terminator himself, Arnold Schwarzenegger, this compound exercise works on the upper chest, triceps, and the entirety of the shoulders. It is basically a combination of military presses and behind the neck presses and is able to deliver the best of both these exercises without any downsides. It’s pretty easy to see how Arnold Schwarzenegger managed to maintain that physique throughout the years. This is a great exercise for both your glutes and your quads. It incorporates the use of weights and an elevated platform. Remember to avoid lockout on your knees as the tension must be focused on your quads. This is an extremely challenging leg exercise but the results can speak for themselves. While lunges are often overlooked when it comes to building muscle mass, this variation is designed to push your body to the limits. It is an exhausting compound exercise that will test your mettle as it requires you to bring weighted bars into the mix. Just imagine doing lunges while carrying around 200 lbs. and above bars? A classic in muscle mass building exercise, it comes in two versions: the standing and the seated military press. The standing military press is the original version and is just as effective today as it was back then. The only issue you will have with doing the military press is will be your balance. Make sure your feet are flat on the ground and that you have the best possible grip on the bars. The seated military press is a great alternative if you find balancing the bar a bit difficult. Whether you pick the standing or seated version, your front deltoids will be able to achieve amazing gains after a while. A great exercise is something that delivers amazing results and can also be done anywhere at any time, enter the pull-up. Basically, any place that has a stationary and stable hanging bar is perfect for performing this exercise. You can also purchase an over the door pull up bar that you can install easily in your home. When it comes to planning out your workout routine for leg day, the hamstring tends to always be looked over for exercises that focus on the quads. Any experienced bodybuilder will tell you immediately that this is the wrong way to go about your routine. In fact, it is best to put hamstring exercises first on the list. The leg curl is a perfect compound exercise designed to strengthen your hamstrings. You can do leg curls standing up, sitting, or lying on the ground. The lying leg curl is the current favorite but you need to make sure that the pads do slide off behind your feet during reps. This will remove tension which is something you need to avoid if you want maximum results. Definitely looks cool and will put your triceps through the ringer. While the heavy chains are often used in this exercise, in the instance where you don’t have one lying around you can substitute a sturdy leather belt with plates in its place. Just make sure that the plates are secured before starting the weighted dips exercise. The One Arm Dumbbell Row is a great multi-purpose exercise that benefits your lats as well as balancing the strength between your dominant and non-dominant arms. As the name implies, this exercise focuses on one arm at a time. I suggest you perform this exercise on your back day for optimum results. Power clean exercises are extremely endorsed for those who are looking to improve strength and muscle mass building. The fact that this exercise is primarily implemented by football linemen will give you an idea of the results it can offer as those guys are as wide as a house. The power clean compound exercise’s primary goal is to increase your body’s strength and turn your muscles into granite. Compound exercises might appear intimidating to beginners but if you want to build your muscles and strength, this is the best method to do so. As always, it is important that you understand the importance of proper form when doing these types of exercises. The reason for that is two-fold, you maximize results and prevent injuring yourself. Make no mistake about it, as compound exercises utilize weights, the injury is highly possible if you are not careful. The examples of compound exercise I listed above are the best of the best, however, there are still more compound exercises available. Go to the gym and hit the weights, ask for help if you are a little unsure of how to plan a strength and muscle mass program, and stick to the plan. Discipline and hard work is one sure fire way to be rewarded when it comes to sculpting your dream body. I’m Harvie Brenton, chief editor at strongmusclegrowth.com! Believing in the great benefits of bodybuilding and fitness to the body, I’ve been motivated to become a fitness enthusiast. It also was what gave me the self-confidence and assurance to me both physically and psychologically. Hopefully, you will come along for the ride with me. What Muscles Does Squats Work? What Muscles Does Running Build Up? What Muscles Does Battle Ropes Work? What Muscles Do Shrugs Work? 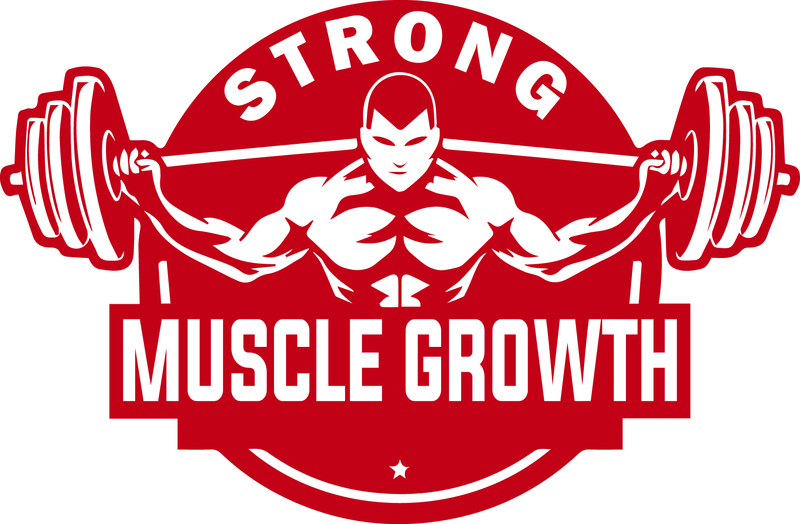 strongmusclegrowth.com is a participant in the Amazon Services LLC Associates Program, an affiliate advertising program designed to provide a means for sites to earn advertising fees by advertising and linking to Amazon.com. *Amazon and the Amazon logo are trademarks of Amazon.com, Inc., or its affiliates. Additionally, strongmusclegrowth.com participates in various other affiliate programs, and we sometimes get a commission through purchases made through our links. Copyright text 2017 by strongmusclegrowth.com.